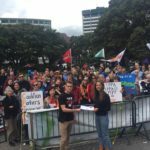 Questions need to be asked why New Zealand has been Big Business’s “little helper” in trying to push US politicians to fast-track the secret and questionable TPPA deal, says New Zealand First. 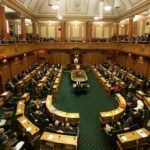 “The failure to get the fast track through the United States Senate today is a clear message to New Zealanders and all the negotiating nations that even the most litigious nation in the world is now worried about the growth of the size and scale of foreign corporates suing nations,” says Spokesperson on Trade Fletcher Tabuteau. “Trade Minister Tim Groser’s flag waving for what is essentially a deal for big corporations to gain power in the 12 negotiating countries, including New Zealand, is an affront to our nationhood, especially given the secrecy the government has maintained. “But President Obama and Mr Groser have now been struck a blow as fast-tracking would have allowed the President to get a complete agreement through with a straight ‘yes’ or ‘no’. Time is now running out for the Trans Pacific Partnership Agreement to be through before Obama’s term ends next year. ”The so-called trade deal for Pacific Rim countries is nothing of the sort, and more about corporate control. 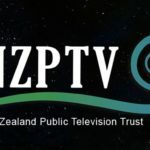 “That’s why New Zealand First has put forward the Fighting Foreign Corporate Control Bill, which is due to come up in Parliament in a few weeks. It would prevent any government signing a treaty that contained a clause allowing foreign corporations to sue us for compensation should they decide our laws don’t fit their business,” says Mr Tabuteau.